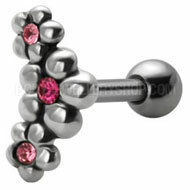 Discover a whole new way to show off your tragus with our brand new tragus cuffs! 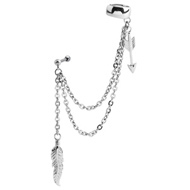 These clever pieces of jewellery combine the comfort of a stud with the wrap around look of a ring. 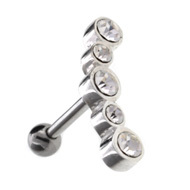 Tragus cuffs are comfortable to wear and come in a fabulous choice of designs, including glamorous jewels, rockin’ designs and classic shapes. 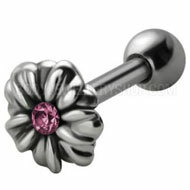 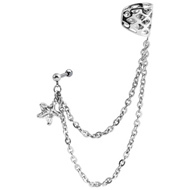 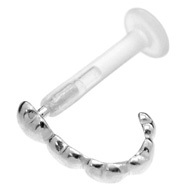 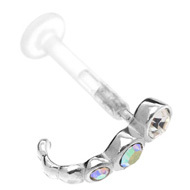 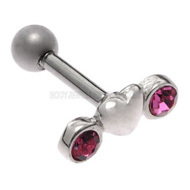 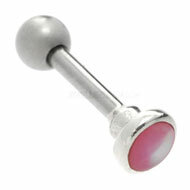 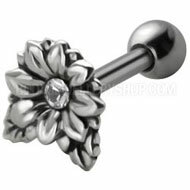 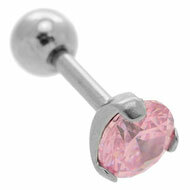 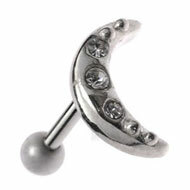 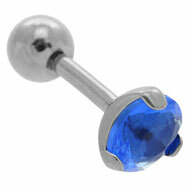 Each tragus cuff consists of a sterling silver cuff, held in place by a clear BioFlex labret stem. 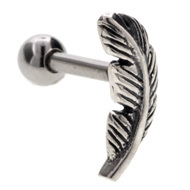 The silver part curls around the edge of your tragus. 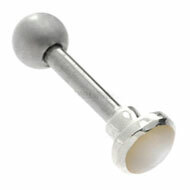 The BioFlex stems are soft, flexible and very comfortable to wear. 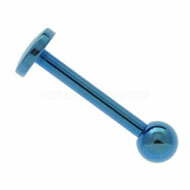 BioFlex is one of THE most biocompatible materials out there and it is known to reduce irritation, soreness and healing times. 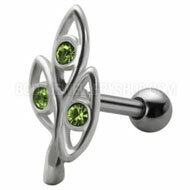 You can also choose the length of your BioFlex stem to fit the exact shape of your tragus. 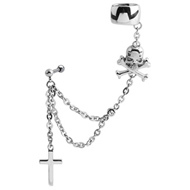 These cuffs come in over fifteen designs so be sure to click through for more gorgeous designs. 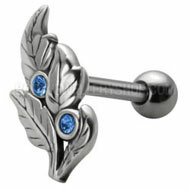 This entry was posted in Ear Piercings and tagged Ear Cuffs, Ear Jewellery, Ear Piercing Jewellery, Tragus Piercing Jewellery, Tragus Studs on May 20, 2011 by Piercing Guru. 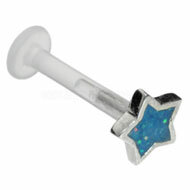 Our new tragus piercing studs make it easy to get a really gorgeous look. Standard tragus piercing jewellery is usually a plain stud or BCR but these new tragus studs are more like stylish earrings. 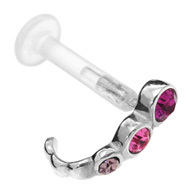 In fact they combine the look of fashionable earrings with the high quality materials and comfort you would expect from good piercing jewellery. Here are BJS we are expanding our range of tragus piercing studs and these new items are absolutely gorgeous. 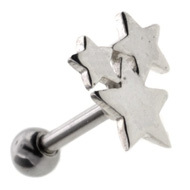 These silver tragus piercing studs are stylish and luxurious. 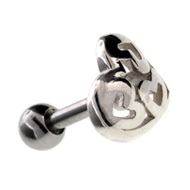 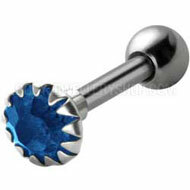 They feature solid silver charms on a surgical steel stud. 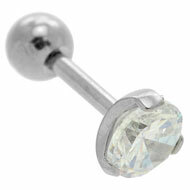 The silver has a beautiful shine and looks more like fine jewellery than a tragus stud. 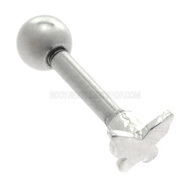 These studs are really comfortable to wear – the charms are lightweight and they have small 3mm balls on the end, so they won’t dig into your skin or get in the way. 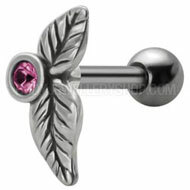 We have many more designs but I have picked out some of the latest additions. 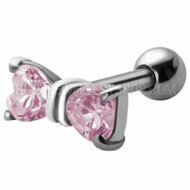 This entry was posted in Ear Piercings, Ear Studs and Earrings and tagged Ear Cartilage, Tragus Piercing Jewellery, Tragus Studs on March 26, 2011 by Piercing Guru.